For use with Shimano Ultegra RD-6800 GS Type rear derailleurs. Bought this, and the matching outer plate to convert an Ultegra short cage mech to a long cage unit so I could use an 11-32 cassette with my 52/36 chainset. Fitting was easy, just make a note of the chain line, and the mech now works perfectly with the bigger cassette. - Shimano Ultegra Di2 RD-6870"
Gs = Medium cage, SS = Short cage. You can replace just this item, unless of course there are other damaged items. Can I just swap out the inner and outer cage on my 6800 SS? Are all other components the same? You should be able to do this without a problem, however we have never tried this so we cannot say for certain. 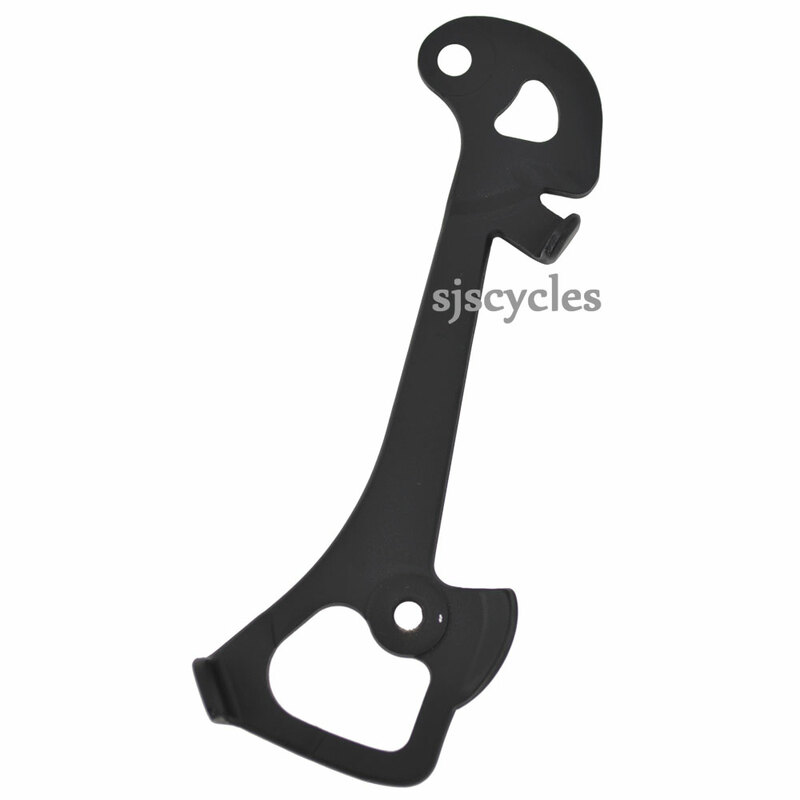 Is this for 6800 short cage 11-28 derailleur? This is the GS plate which is the long cage, the short cage is the SS model and is SJSC part 42584. ¿ me valdria esto para cambiar solo la pata del cambio? Quiero cambiar mi cambio ultegra 6800 de pata corta para poder meter un cassette 11-32, entonces quiero cambiar solo pata actual por este kit,dejando incluso las roldanas del cambio actuales. Es posible, simplemente quitar una y poner esto. usted podrá intercambiar esto sin ningún problema. can i use this with shimano ultegra 6700 ? Unfortunately this is not compatible with the 6700 derailleur as the bolt spacing is different. We do however stock the correct 6700 part and it is SJSC part 44657. This is indeed for the longer cage version of the 6800 derailleur.